Outdoor activities, sports and field trip opportunities. 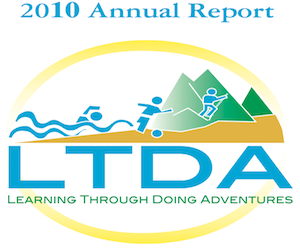 Highlights of all LTDA programs from inception through 2010. 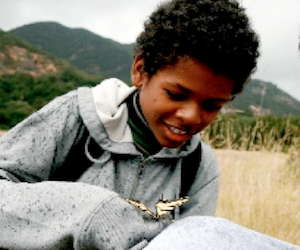 Youth from inner-city schools enjoy outdoor education programs in the Santa Monica Mountains. Various youth from diverse backgrounds participating in field trips, sports, hands-on learning, beach excursions and much more via "Learning Through Doing Adventures". 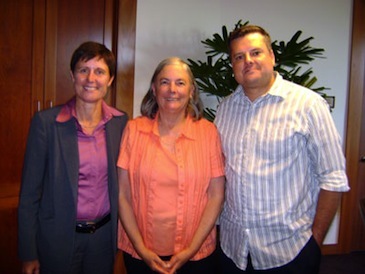 L-R Agoura Hills resident and Executive Dir. of Learning Through Doing Adventures Jonathan Dunker, Sen. Pavley, and Dr. Joyce and Gilbert, R.D.,L.D. 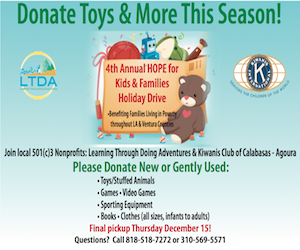 - Executive Director of the Marilyn Magaram Center at CSUN - meeting during Calabasas office hours. LTDA Executive Director Jonathan Dunker MS Ed and Chief Operating Officer Burt Nelson secure contract with LACC. Our mission is to educate and empower youth through hands-on outdoor education, recreation and outreach opportunities. We strive to service adolescents and young adults with special needs, socio-economic disadvantages, and/or at-risk circumstances by providing engaging new experiences, time, attention and support. 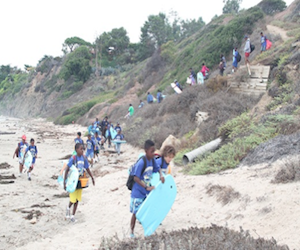 Inner-city youth engage in beach ecology program designed to promote environmental education, hands-on learning and connections to classroom-based instruction. As a core program, LTDA has worked with over 3,000 youth at risk via interpretive programs. A study showing the tangible benefits of experiential learning. Results of baseline and post-test data conclude marked increases in science scores. The true merits of the program were captured via bi-lingual letters received from participants giving their testimonials.